This belly dancing belt is brand new, still in the bag. It's marked as a size L. I bought one for myself and got 2 by mistake, and never sent one back. It has a lot of beadwork. 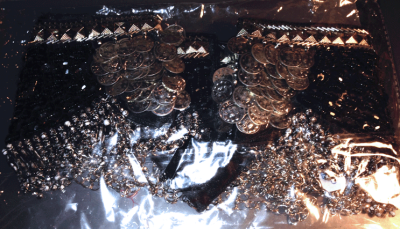 The main body of it is covered in glossy black beads interspersed with black sequins. 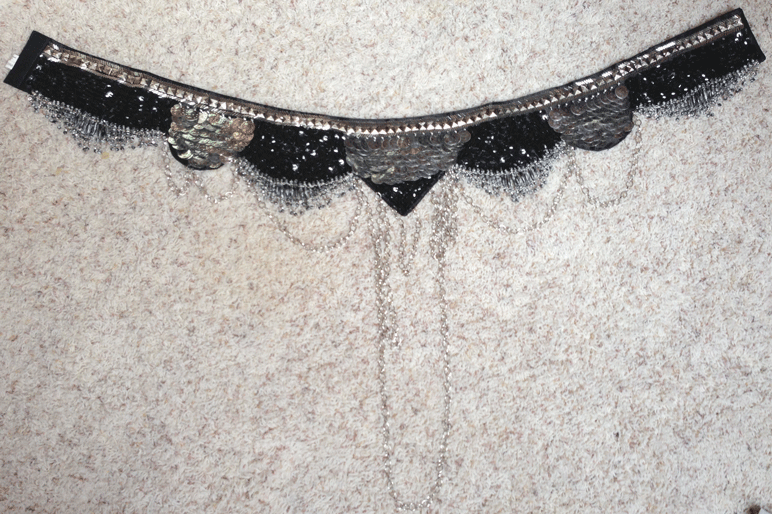 The dangling beads are a mixture of swirled black and white. 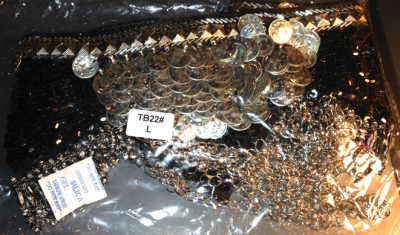 It also has silver beads and tinkling silver coins, silver chains and and square metal silver bits are sewn all across the top, between silver cylindrical beads. It weighs 14 ounces and attaches at the back with velcro. The bag has not been opened - the picture of the belt below is mine, wich is exactly the same. This piece is new, purchased in 2015. I'd like to get back what I paid for it - it was on sale at the time of purchase. 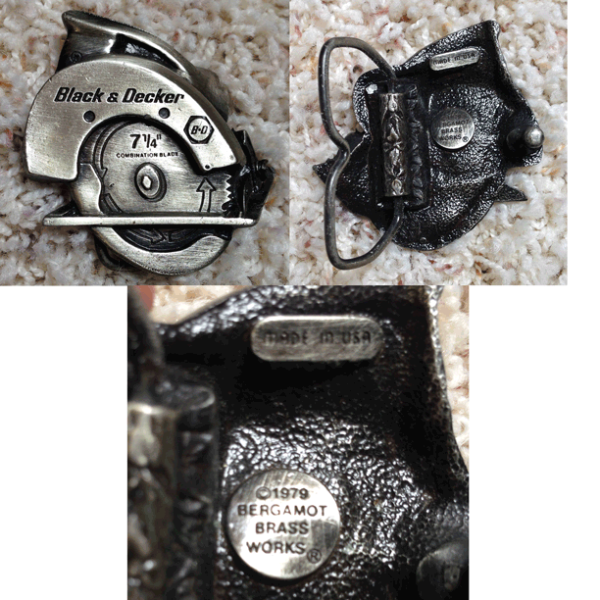 This belt buckle has the worlds "Black and Decker, 7 1/4" Combination Blade" with the Black and Decker logo on the front of it. It was made in the USA by Bergamot Brassworks in 1979. It's about 2 x 2 inches, maybe 0.5 inches thick at the buckle hinge. It weighs 4.7 ounces. This belt buckle is over 30 years old.